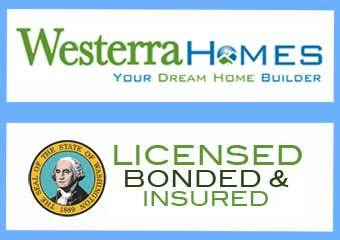 Westerra Homes is a family-owned homebuilding company with a committed team of experts. Each member of our team has decades of experience in the field, and hundreds of families have partnered with us to build their dream custom home. 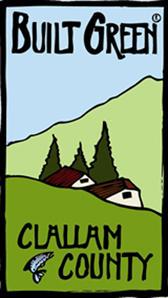 We have two convenient office locations: in beautiful Sequim, on the Olympic Peninsula, and in Kingston in Kitsap County. After 30 years of achievement in land planning, real estate development and construction, Greg McCarry launched Westerra Homes to build great homes. He selected a first-class team of experienced professionals who stand ready to make YOUR dreams come true! Westerra Homes provides what you want in your own custom home or a pre-built new home in our neighborhoods—we listen to you, our valued client. Great homes in great neighborhoods…or on your lot—Westerra Homes is building homes and town homes in Jennie’s Meadow which is located in one of our region’s most beautiful areas. It’s a traditional small town neighborhood in Sequim, on the Olympic Peninsula. The Westerra Homes management team has been building homes around the Northwest since 1987, and hundreds of families have trusted us to build their dream home. Our small, expert team means our focus is you and your goals, and our extensive experience in the field means we can bring you unprecedented value as we help you realize your dream. Greg’s career in real estate began in 1975. Today, he has nearly forty years of rich and varied achievement and experience in real estate development, sales, construction, strategic planning, and management. Greg has managed a 10,000-acre real estate portfolio for a public company, multiple residential neighborhoods, commercial projects, and a complete real estate sales and marketing team. His highly successful real estate projects have included complex master-planned communities, residential neighborhoods, business parks, mixed-use projects, and retail and office development projects. As the President and COO of Olympic Property Group and Port Ludlow Associates from 1987 to 2005, he managed the development of the 2,000-acre multiple-award-winning Port Ludlow Master Planned Resort. Jeff has over three decades of experience in construction and well over twenty years of experience as a superintendent or owner of his own company. He grew up in a construction-business family, and began managing projects at the age of 23. As the Residential Construction Manager for Olympic Property Group and Port Ludlow Associates, Jeff was responsible for all phases of construction, quality control, and warranty administration for all neighborhoods of its award-winning resort community. Mary began her career on the financial side of construction projects in 1989. She has worked in all aspects of job cost accounting for both private and public organizations, including managing a ten-member staff. She is skilled at managing the details of each project, ensuring that all subcontractors are licensed, insured, and bonded. She produces accurate job cost information and control so Westerra Homes can deliver homes at a fair and reasonable value—while maintaining the financial integrity of the company.